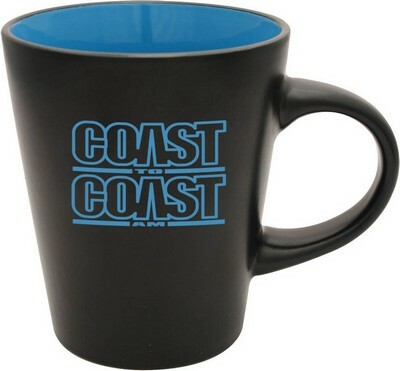 This screen printed 12 ounce duo-tone noir collection mug has a black satin matte exterior. 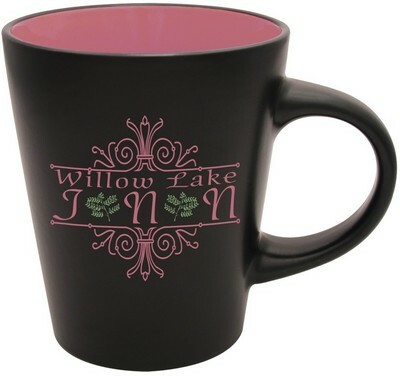 Meet all the drink related needs of your clients and staff with the 12 oz. 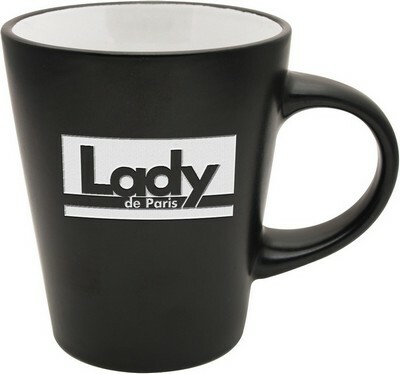 two tone mug, which features a black satin matte exterior. 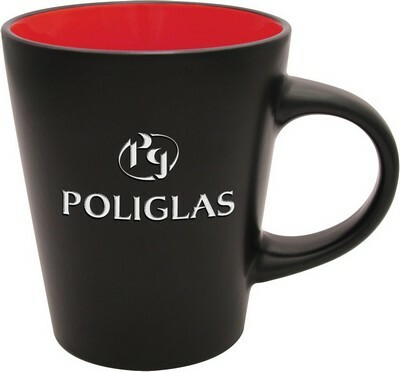 Emblazon your company’s logo and message on the mug to make the best first impression for your brand. 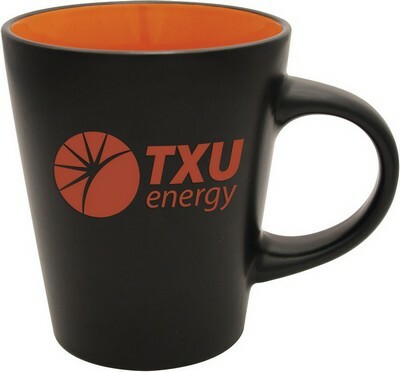 Give away this coffee mug at corporate and community events, beverage promotions, and more to make your brand a cut above the rest of the competition. A brand new way to upgrade your promotional efforts! The 12 oz. 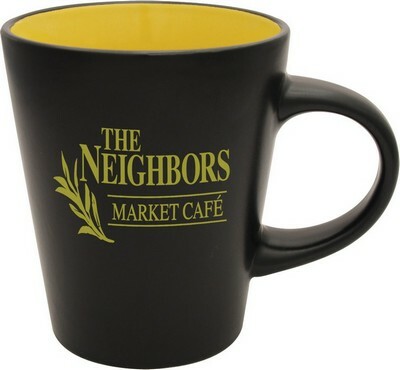 Duo-tone Noir Collection Mug is an excellent choice for serving and enjoying coffee at home or office in café style. This elegantly designed wide top mug features an attractive black satin exterior that gives your brand details maximum visibility when imprinted in single or multiple colors. You can include company logo, name and marketing message on its front to represent your brand in an impressive way at homes, offices, restaurants and cafeterias. Contrast color glossy interior imparts a unique, colorful look to the mug and makes your coffee time more fun. 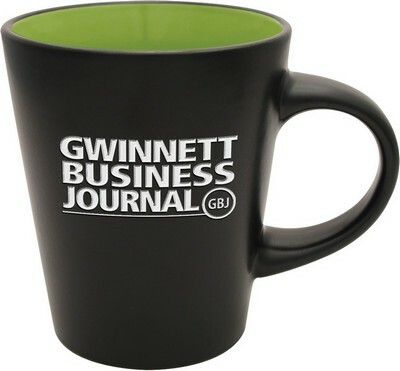 The perfect choice for corporate giveaway!